Now, these are a bit different from my 2 Ingredient Muffins (see them here -> here) since they don’t’ have the water they are a bit thicker and more cakelike! The perfect way to replicate a cake donut from a bakery without all the extra calories! Either way, they taste great, the kids enjoyed them as well. Spray your doughnut pan, I spray mine with olive oil from my Misto. (you can see my post -> here for more about how this works). Now I used my silicone doughnut pans from when we made Keto Bagels (you can see those -> here), I love to bake in silicone, but there are metal pans as well. In a bowl combine your cake mix and pumpkin, this worked better working it together with a spatula than a whisk. 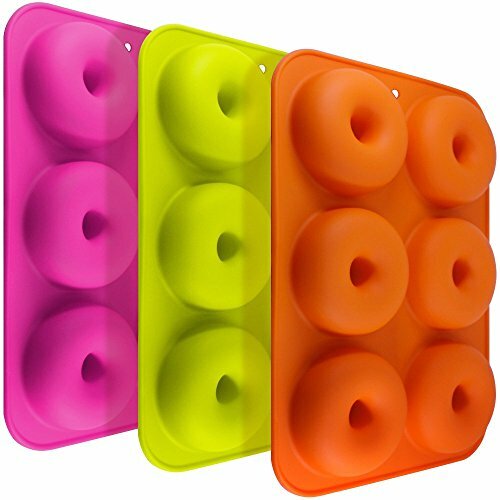 Now you will need to have the batter in a piping bag to pipe into the doughnut molds. I stuck a gallon ziplock bag down into a beer stein and filled it that way. It worked out perfectly! 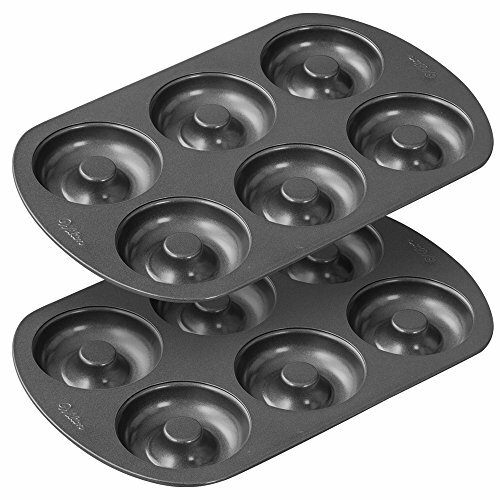 Cut a good size hole into the Ziploc and pipe into the doughnut pans. Now this made 18 doughnuts for me, I started out filling not as full but then ended up adding ot them to make the molds fuller. Bake for about 9-11 minutes keeping an eye on them to raise and be done all the way through, I tore one to make sure it wasn’t too doughy in the middle. 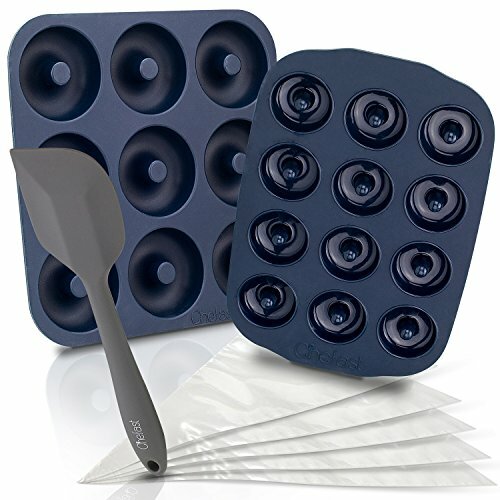 I found my oven gloves work best for baking with silicone pans, (these are my favorite on Amazon -> here). Now make sure to recompute your box mix, but mine came out to 78 points for the whole box and works out to 4 points a serving. What is your go-to pumpkin dessert?? This 2 Ingredient Pumpkin Doughnut Recipe is so easy to make and also is low Weight Watchers Freestyle Smartpoints! Mix together and then bake! Spray your doughnut pan with a non stick spray. Bake for about 9-11 minutes keeping an eye on them to raise and be done all the way through, I tore one to make sure it wasn't too doughy in the middle.